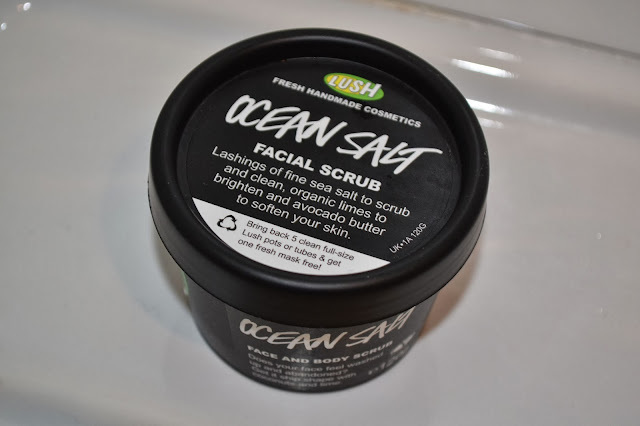 Face scrubs are my ultimate beauty obsession at the moment, I can't get enough of them. 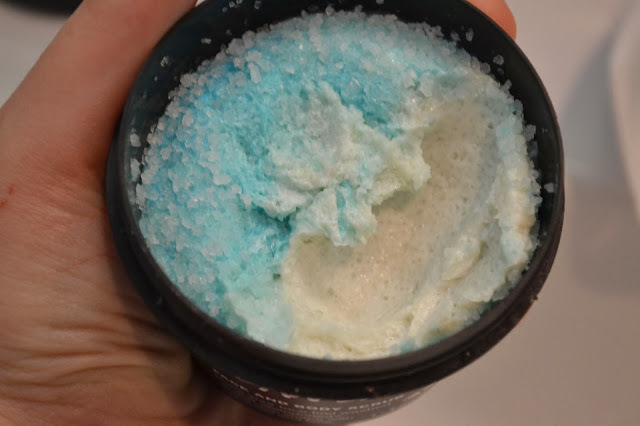 I saw this scrub in Lush and fell in love with its limey smell and the colourful blue sea salt that covers the surface. 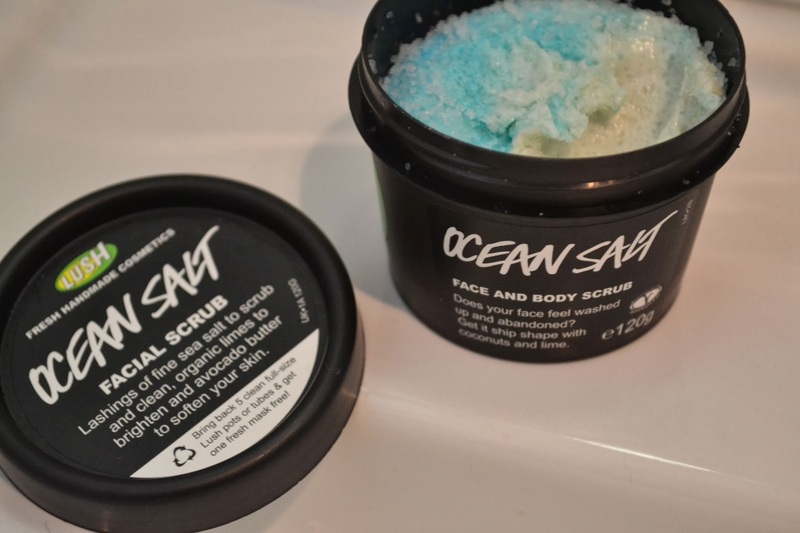 I was slightly apprehensive as the chunks of salt are quite large and I thought that they might be too harsh on my delicate skin but they work really well at scrubbing away the dirt and dead skin. Also, the avocado butter is so soft that it soothes the skin leaving it as soft as a baby's bottom. 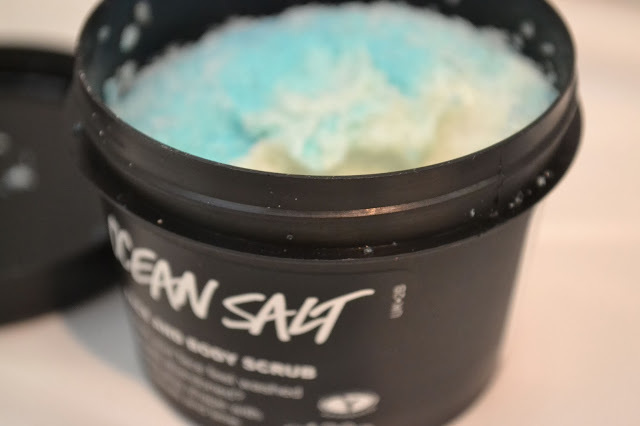 This scrub is packed full of fresh grapefruit, lime, coconut oil, seaweed and even vodka! Basically, it's like the cocktail of face scrubs. What I love about Lush is that when I look at the ingredients I can actually recognise some of them, unlike all the chemicals loaded into other products. Personally, I think this is best applied in the shower as it's not one of those scrubs that stick to your face and can cause a bit of a mess. It can also be used on the body but I think I'm going to stick to using it on my face. I've only been using this scrub for a while so I can't wait to see the long term effects of using it! I saw this when I was shopping yesterday, and I was tempted to buy it, I wish I read this review beforehand!